Home Bible Bible Verse calamity flood flooded area flooded streets Rain raindrops raining rainy days storm Stormy Story typhoon typhoon experience Is Genesis 8:7-12 Coincidence with the Date 8/7/12?! 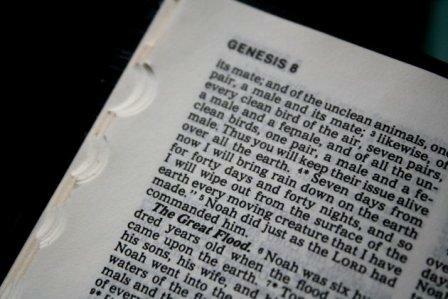 Is Genesis 8:7-12 Coincidence with the Date 8/7/12?! The country is currently experiencing unstoppable rains which caused many places to get flooded. The non-stop rainfalls started yesterday, August 7, 2012 or 8/7/12! 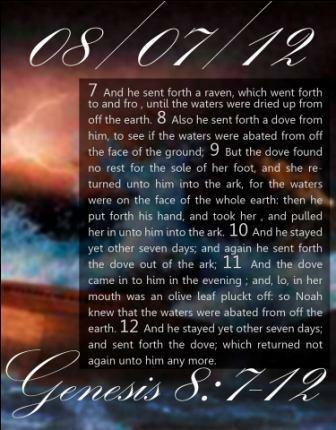 Looking at the date 8/7/12 is also similar to the bible verse called Genesis 8: 7-12. The said verse narrates the great blood during the time of Noah which eliminated the people on earth! Since the rain didn't stop (take note that we have no typhoon and these heavy rains were only brought by the Habagat winds) causing the rising of more floods, many people thought that this is the start of the end of the world! They compared the flood we were experiencing to the great flood on the bible. "7 And he sent forth a raven, which went forth to and fro , until the waters were dried up from off the earth. 8 Also he sent forth a dove from him, to see if the waters were abated from off the face of the ground; 9 But the dove found no rest for the sole of her foot, and she returned unto him into the ark, for the waters were on the face of the whole earth: then he put forth his hand, and took her , and pulled her in unto him into the ark. 10 And he stayed yet other seven days; and again he sent forth the dove out of the ark; 11 And the dove came in to him in the evening ; and, lo, in her mouth was an olive leaf pluckt off: so Noah knew that the waters were abated from off the earth. 12 And he stayed yet other seven days; and sent forth the dove; which returned not again unto him any more." Analyzing the said bible verse, yes it talks about the great flood during Noah's time. But it is a verse telling that the rain already stopped and the flood was over!! 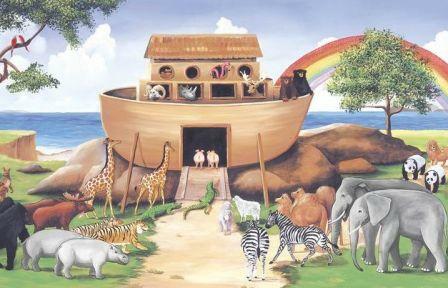 It is the time telling that the family of Noah can now take off from the arc since the flood was getting low. And bible also states that God promised that he will never end the world again through great flood! Preferably in other means.